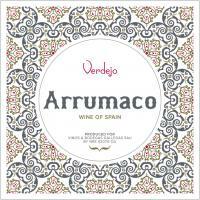 The Wine and Cheese Place: Arrumaco Verdejo - Best Buy! A good value based all on Verdejo, the 2017 Verdejo offers clean notes of citrus, mint, and salty minerality in a medium-bodied, balanced, classically dry style that's going to go with just about anything you pair it with. Tasting Notes: Offers aromas of stone fruit, with hints of almonds and citrus rind. Crisp and fresh on the palate, with a touch of glycerin and a long, clean finish. Serve With: Light and enjoyable on its own, it also an ideal pairing for a wide range of fish and shellfish.